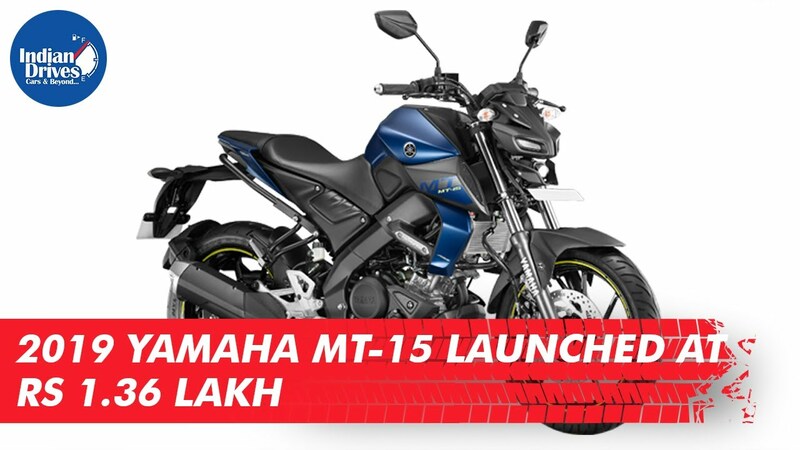 The 2019 Yamaha MT-15 bike has been launched in India at Rs.1.36 lakhs. The design of the bike takes inspiration from the Yamaha MT-09, while it borrows its engine from the Yamaha YZF-R15 V3.0. Engine of the MT-15 is a 19.3HP, 155cc liquid-cooled, fuel-injected unit mated to a 6-speed gearbox. The bike gets telescopic fork and a monoshock. The bike has a 10-liter fuel tank and a kerb weight of 138 kgs. In the Indian market, the Yamaha MT-15 will now compete with the likes of TVS Apache RTR 200 4V ABS, Bajaj Pulsar NS200 ABS and the KTM 125 Duke.